There are more chickens in the United States than people in the entire world. Raising huge numbers of chickens generates large quantities of waste. This waste includes feces, feather, and bedding materials–collectively called chicken litter. Each year, more than 14 million tons of chicken litter is generated in the U.S. Other poultry, such as turkeys, ducks, and geese, also contribute litter. Poultry litter is often recycled as manure by farmers. Studies have shown that using poultry litter to fertilize crops, such as cotton, can be as effective as using synthetic fertilizers. "Most research focuses on the amount of poultry litter needed to maximize crop yields," says Haile Tewolde, lead author of the study. "We wanted to know if aiming for maximum yield always makes economic sense for farmers." Tewolde and his colleagues found that it doesn't. Using less chicken litter than what was needed to maximize crop yields actually increased profits for farmers. Profits increased even though crop yields were lower. It might appear that higher crop yields would lead to higher profits. But using more fertilizer also increases costs for farmers. The researchers predicted that once an optimal amount of fertilizer had been applied to crops, any more would raise costs more than profits. The study was conducted in two farms in Mississippi. The researchers applied varying amounts of chicken litter as fertilizer on replicated farm plots. Then, they compared yield and profitability between the seven plots. They also compared the use of synthetic fertilizers and chicken litter. They found that chicken litter applications over a certain level did not result in net economic gains. Instead, it led to economic losses even though yields were somewhat higher. Maximum cotton yields were achieved by applying between 9,000 to 12,000 pounds of chicken litter per acre. In contrast, applying about 7,000 pounds of chicken litter per acre each year was enough to maximize profits. The researchers also confirmed studies that showed chicken litter to be as effective – sometimes more so – than synthetic fertilizers. Poultry litter contains high levels of nitrogen, an important nutrient for plants. It also contains other minerals needed by crops, including phosphates and potash. Using poultry litter as manure also recycles a waste product and can benefit the environment. However, using too much poultry litter can cause environmental pollution. Nitrogen and phosphorus in the poultry litter can dissolve in runoff from storms. These dissolved nutrients can pollute surface and ground waters. If farmers can use less poultry litter and still maximize profits, pollution can be managed more effectively. "Ten to 15 years ago it was not common to use poultry litter as fertilizer for row crops such as cotton," says Tewolde. Today, there is increasing acceptance of poultry litter as fertilizer, including in commercial farms. But research on the use of poultry litter as fertilizer is not often geared towards maximizing profit in larger, commercial farms. "This is the first comprehensive study looking at chicken litter use and profitability in commercial farms," says Tewolde. 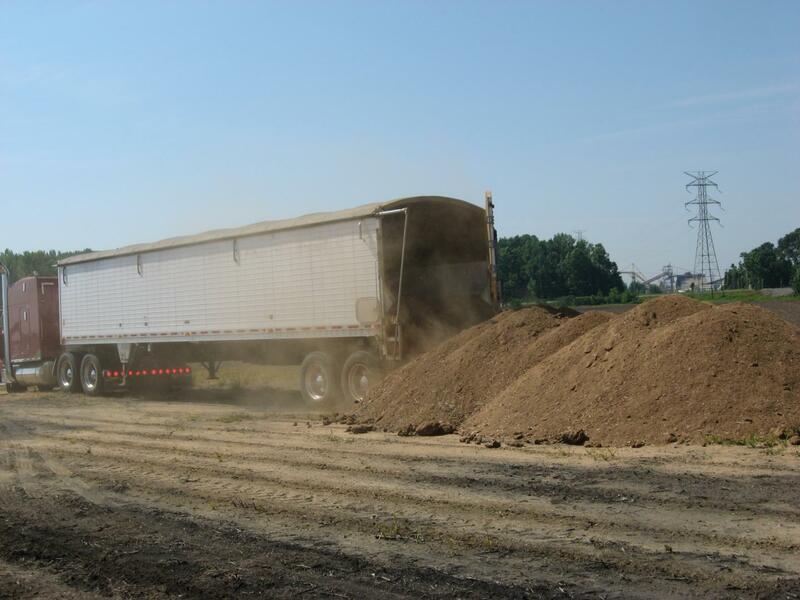 "We are the first to identify ways to calculate optimal rates of applying chicken litter manure and maximize earnings at this scale of farming." One benefit of conducting the study on commercial fields is that "farmers can start applying our findings straightaway," says Tewolde. Though the study was conducted in Mississippi, it has wider implications. "The approach we use to determine optimal rates of chicken litter application will be applicable in other cotton-growing areas around the country," says Tewolde. Read more about Tewolde's research in Crop Science.